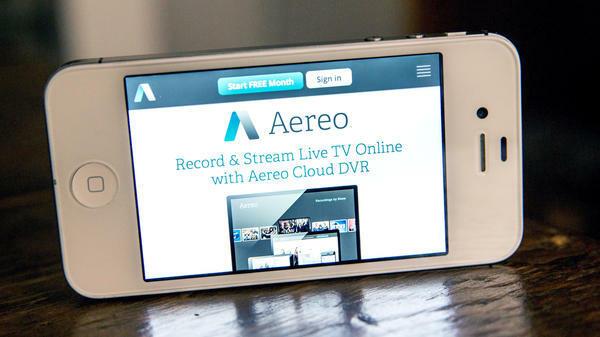 Aereo.com, a Web service that provides television shows online, is shown on an iPhone on April 22. The company lost a Supreme Court case Wednesday, as the justices ruled it violates copyright law. "So serious is the economic threat that two major networks, CBS and Fox, have said they would consider abandoning over-the-air free broadcasting if they lose," NPR's Nina Totenberg reported when the case was argued in April, "and instead broadcast only on pay cable channels." The plaintiffs in the case were TV producers, marketers and broadcasters who said Aereo violated their copyrights by streaming programs online without a license. Aereo has defended its business model, saying it pulls in content that is broadcast freely, using many small antennas — one per subscriber — and that it serves the programs up only upon users' requests. The Supreme Court didn't agree with that view. "Aereo performs petitioners' works publicly," the court ruled. The justices said the company is similar to a cable TV provider, selling a service that "allows subscribers to watch television programs, many of which are copyrighted, virtually as they are being broadcast." Calling the court's decision "a massive setback for the American consumer," Aereo CEO Chet Kanojia says it is "troubling" to see the majority opinion's suggestion that companies seek action from Congress to clarify how new technology interacts with U.S. copyright laws. "Are we moving towards a permission-based system for technology innovation?" Kanojia asks. The tone was different over at the Walt Disney Co., parent company of ABC, which led the lawsuit. "We're gratified the Court upheld important Copyright principles," the company said, "that help ensure that the high-quality creative content consumers expect and demand is protected and incentivized." Now that we've had time to read through more of the opinion, we can add more details. 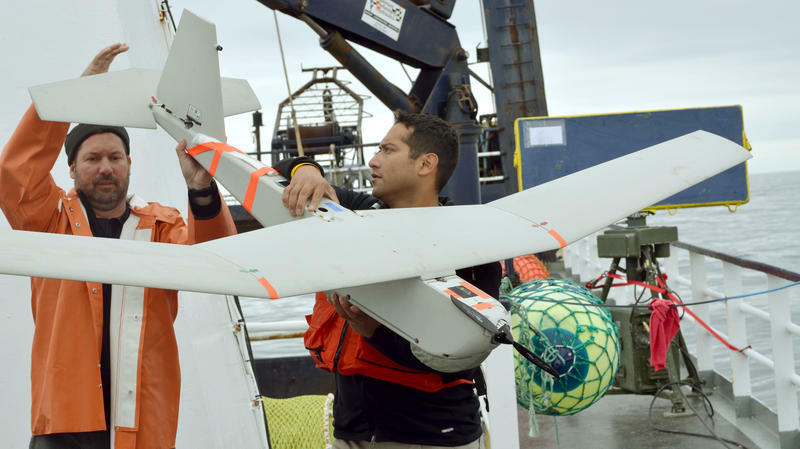 Justice Stephen Breyer wrote the court's majority opinion, saying, "Given the limited nature of this holding, the Court does not believe its decision will discourage the emergence or use of different kinds of technologies." In March, Chet Kanojia, the founder and CEO of Aereo, told NPR's Elise Hu that his company welcomed the high court's scrutiny — "because it was very obvious that the strategy for the other side was to kill us by suing us in every possible jurisdiction. It's better strategically for us to force the issue now." He also said his company was a response to out-of-date distribution systems. "There is no logic in me paying for 500 channels that I don't watch," Kanojia said. "There is no incentive on the incumbents to change, so it takes somebody like us ... to come in and say, this is the trend, life is changing. The Internet is happening to us whether we like it or not." An appeal brought by a photographer who refused to take pictures of gay weddings was turned down by the Supreme Court on Monday morning. The court also refused to hear a challenge to a ban on campaign contributions by corporations, and allowed a district court case over U.S. surveillance to continue. The photography case was brought by Elane Photography, a New Mexico business run by a husband-and-wife team who said their First Amendment rights allowed them to refuse service to a woman who had sought to hire the company to photograph her commitment ceremony with her partner.